When it comes to seasonal products from lush I always try to squirrel a couple of items away, so that when they are no longer avaliable to buy I can still enjoy them for a little longer. It turns out in my efforts to do this I have indeed totally forgot I actually had some of these products all together and was therefore very surprised when I stumbled upon a box of 2014 Christmas products that I thought I had used up along time ago. One of the products I found in this stash was the Christmas Eve bubble bar. 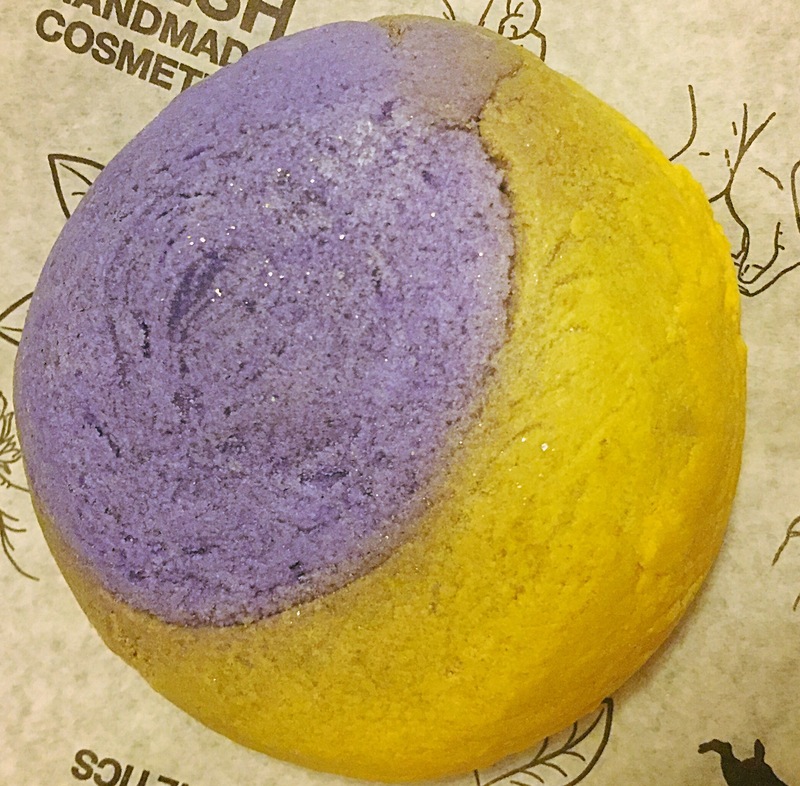 Designed to look like a night time sky with a brightly lit moon, this bubble bar is a lovely addition to a Christmas collection. 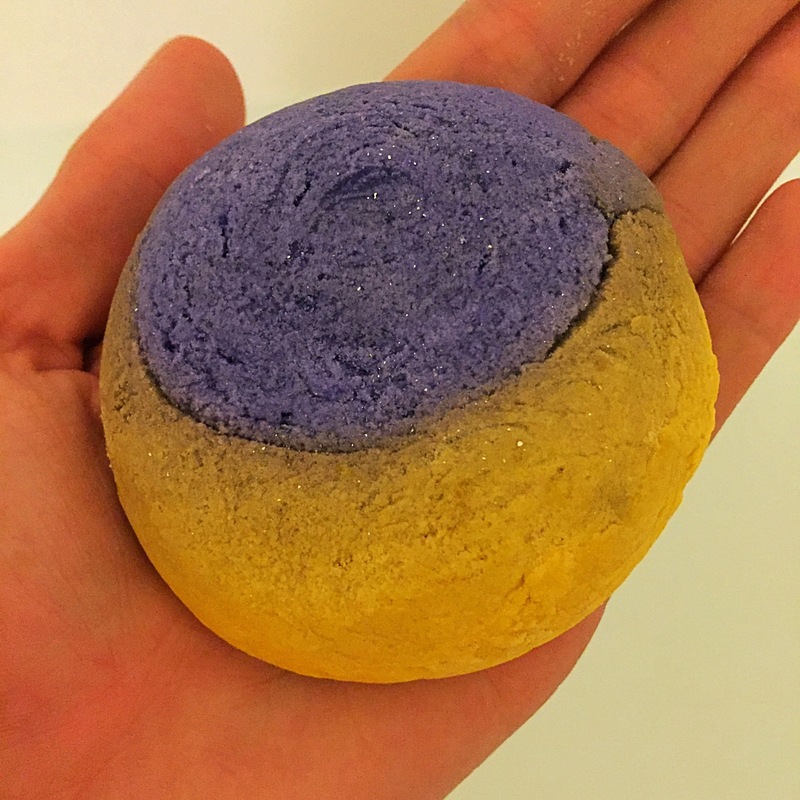 The bubble bar was made as a way to help calm and relax you after all the chaos of preparing for Christmas. lush also state this bubble bar is also perfect to help calm excited little ones, so they drift to sleep easier before Santa arrives. Featuring Ylang Ylang and jasmine absolute this bubble bar has a soft and gentle floral scent that will help to relax and calm you. This product really is perfect for soothing and helping you to unwind. The Christmas Eve bubble bar is also quite large in size, meaning you will easily get 2-3 super bubbly bath out of it. At the time this bubble bar was released it was pretty cheap making it very cost efficient. Once crumbled under running water this bubble bar produces a vast amount of super soft silky bubbles. It also turned the water a gorgeous blue colour. I found the Christmas Eve bubble bar to be very moisturising and it left my skin feeling very soft. The bubble bar also left a lovely subtle scent of my skin and left me feeling very relaxed indeed. Overall I really enjoyed the Christmas Eve bubble bar. I would say it is a brilliant product for helping you to relax and unwind after a busy day. I’m hoping that lush may re-release this product one Christmas or make a very similar product. 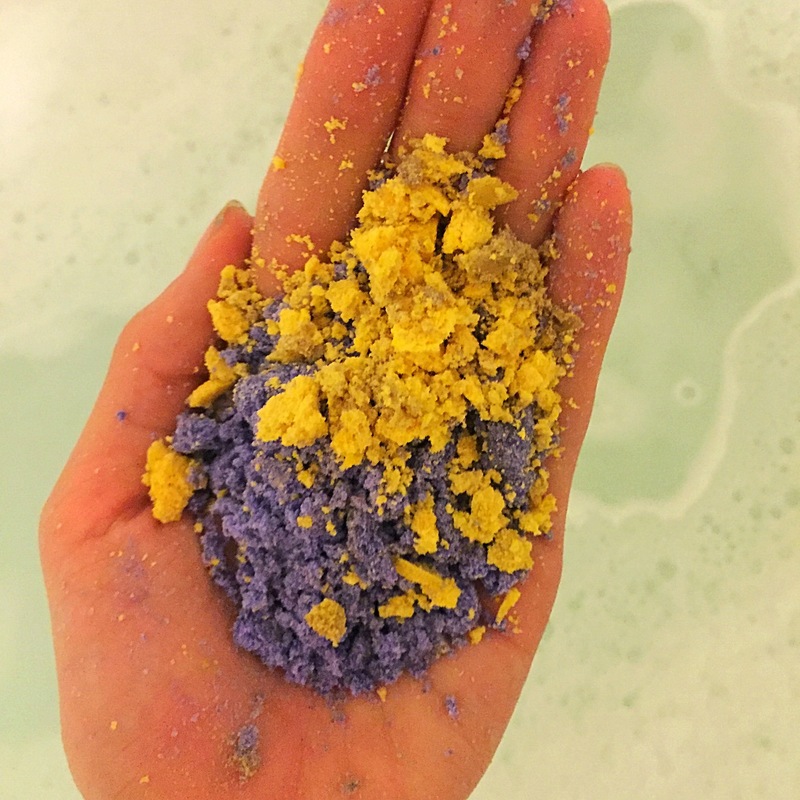 Did you ever try the Christmas Eve bubble bar? What did you think? Ingredients- Sodium Bicarbonate, Cream of Tartar, Sodium Laureth Sulfate, Lauryl Betaine, Perfume, Cocamide DEA, Irish Moss Powder, Jasmine Absolute, Ylang Ylang Oil, Linalool, Limonene, Hydroxycitronellal, Gardenia Extract, Colour 61585, Colour 59040, Iridescent Glitter. Christmas eve bubble bar is one of my favorites! I hope they re release it too.